It’s been a few months since I built my hackintosh, and it continues to work very well with few problems. In the months since I built it there have been some interesting advances in ease of setup, so I’m taking a look at some of these over the next few days. The ultimate goal of this is to try a fresh installation starting with boot132/chameleon and an unmodified Leopard DVD. 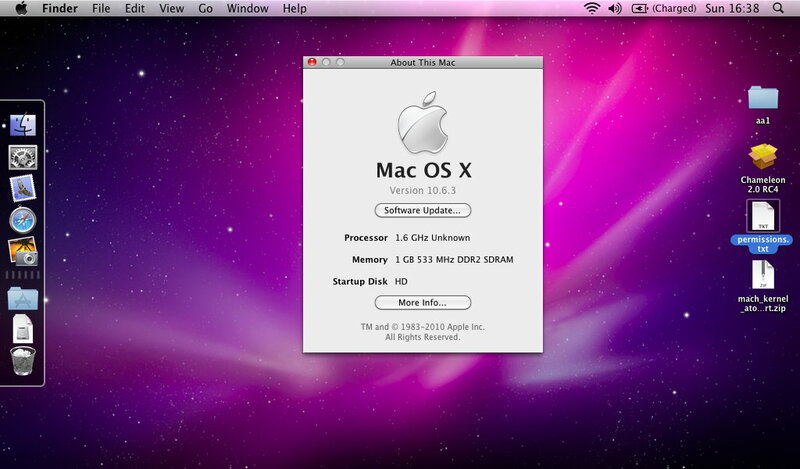 Another of the new tools that greatly simplifies the setup of your new install is osx86tools. The app presents an easy to use graphical interface to the actions that typically require terminal use to achieve. 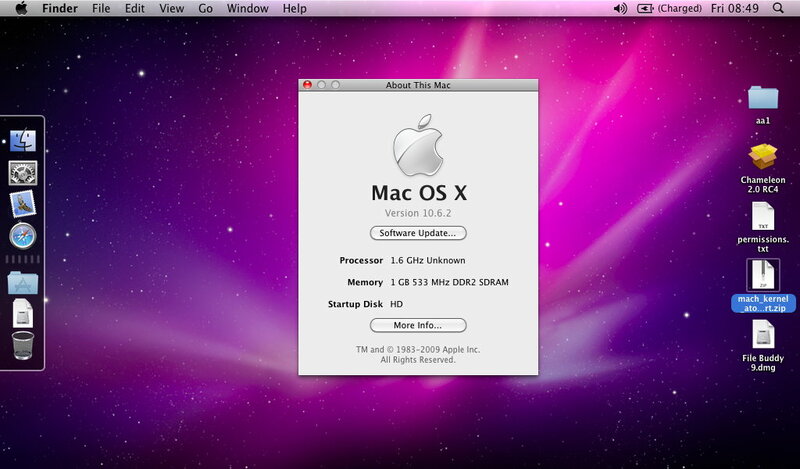 This includes setting permissions for the extensions folder, clearing cache’s, update prebinding, touching the extensions folder, backing up and restoring the kernel/extensions folder, Install multiple kexts to any drive, Installing PC_EFI v8 or Chameleon and adding EFI strings and modifying com.apple.Boot.plist. That’s quite a list and not even everything the program can do. One of the really impressive features is automatic analysis of your system and downloading of drivers and modified kexts to get it all working. Sounds very easy, so this will be getting a good workout when the new install is in place.